The course is ideal for individuals who want to train as a teacher. Explore techniques and approaches to teaching. Learn how to plan lessons that are engaging to the student. Learn the attributes and expectations of what it takes to be a teacher. If you want one-on-one sessions, visit Level 3 Award in Education and Training (Formerly PTLLS) Classroom Course page. 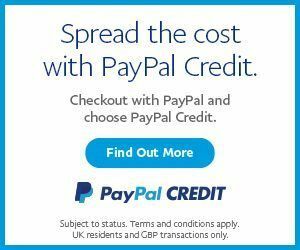 Access Duration The course will be directly delivered to you, and you have 06 months access to the online learning platform from the date you joined the course. The course is self-paced and you can complete it in stages, revisiting the lectures at anytime. Method of Assessment This course is assessed by written assignment, learners must complete three written assignments and one micro teaching session, which can be submitted as a recorded video. All assignments must be submitted to the online portal within four months of the course start. 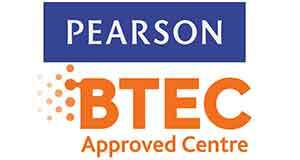 The Pearson BTEC Level 3 Award in Education and Training is an introductory teaching qualification. Achieving this Award will provide sufficient evidence that the learner has acquired the necessary skills and knowledge to prepare, plan, deliver and evaluate basic teaching and learning sessions, in a variety of teaching or training contexts. This introductory, knowledge-based teaching qualification has no minimum teaching practice requirement. Therefore, it may be undertaken by individuals who are not in a teaching role. However, there is a minimum requirement to take part in micro–teaching. Certification Upon successful completion of this course will be awarded a Pearson BTEC Level 3 Award in Education and Training and Training. Progression and Career Path BTEC Specialist qualifications are work-related qualifications available from Entry to Level 3 in a range of sectors. They give learners the knowledge, understanding and skills they need to prepare for employment in a specific occupational area. The qualifications also provide career development opportunities for those already in work. The qualifications may be offered as full-time or part-time courses in schools or colleges. Training centres and employers may also offer these qualifications. Upon successful completion of this Pearson BTEC Level 3 Award in Education and Training you could go on to take the Pearson BTEC Level 4 Certificate in Education and Training, and the Pearson BTEC Level 5 Certificate in Education and Training, which will allow you to develop a successful Teaching career.